HomeBlogHow to Integrate Blogging With Content Marketing that Inspires Action. Why? A focus on self-promotion has many brands running out of content ideas and time to show a return on their blog content investment. Tolerance for quantity of content and superficial social engagement metrics as a basis for results is diminishing. 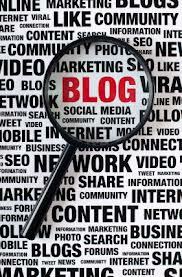 Despite these challenges, blogs provide an incredible content marketing platform for connecting directly with prospects, the media, customers, new employees, investors and the industry at large. To offer companies a roadmap to realizing these business blogging and content marketing benefits, I will be giving a presentation at the inaugural Social Media Marketing World conference in San Diego on Tuesday, April 9th. My talk will guide attendees through a powerful, yet simple 3 part model for developing blog content plans that attract the right readers, engage them with the right content and inspire them to take action  whether it’s to subscribe, interact, request more information or become a customer. First, what’s your goal? Decide what outcomes you’re after and work backwards to determine the key performance metrics that will indicate progress. You can optimize these to get back on track when necessary or to accelerate outcomes. What content and social media/network assets do you currently have? What content will you need to create on what channels and where does the blog fit within this mix? How will you attract traffic to the campaign? What does your target audience care about? What interests, pain points and goals can your content help solve for them? Who are the influencers that you can connect with to help co-create and amplify content objects and the overall campaign? What stories and hooks can you use to create a narrative across the various content objects that will connect your target audience and influencers with the key brand messages? What calls to action will you use to inspire action across the stages of the campaign? The customer journey is not linear, so it is important to offer CTAs across the entire campaign, early  middle  late stage, not just when you want them to buy. Make a content plan that identifies the primary messages, subordinate topics and the types of content objects you’ll use on your blog, social platforms and other media to execute the campaign. The content plan should factor search keywords, social promotion, online PR, email and any other promotion efforts to amplify content reach and engagement. What specific KPIs will you monitor as the content objects are published and promoted? Assign responsibilities / tasks on your team for curating the impact of your own content as it reaches influencers and the target audience. “Publicize your publicity”  Aaron Wall. I’ll be presenting at a local interactive marketing conference soon on the topic of “Future of Content”. For the event, my goals are to create awareness and drive attendance. But my overall goal is to use the event as a component of an overall campaign to drive awareness of TopRank Online Marketing content marketing thought leadership. The journey of creating content to promote the event will also create content and engagement nationally and internationally amongst communities we wish to engage. I decided to break the topic of “Future of Content” down into component parts and post them as questions to my social networks in a content crowdsourcing effort. The goal being to get conversations going amongst influencers about these topics and leverage their insights along with my own in a series of blog posts. The first of these posts, “What is Content” combined 40 of the answers to the question I received on Twitter, Facebook and Google+. To tie these posts and their social promotion together, I created the #whatthefoc hash tag, which is fun and relevant to the topic. Each blog post will serve as a hub for discussion about the crowdsourced question and promoted through social channels that reach far beyond the local audience. Quotes provided by participants in these posts will be used within the “Future of Content” presentation. Along with crowdsourcing social content, I’m also reaching out to digital marketing leaders at major national/international and local brands to survey their insights into some of the key questions answered in the presentation. Those quotes will be used in the presentation and in a guide that attendees at the “Future of Content” presentation will be able to download, un-gated. After the event, that guide will be promoted on the blog and through our broader social channels. As complements to these blog posts, there will be visual marketing components through images (tips) posted on Facebook and Google+, quotes on top of compelling images posted to Slideshare and promotions through email, social ads and guest posts / articles on industry blogs and sites. Measurement will include quantity and quality of crowdsourcing participants, participation by global brands and thought leaders (some of which are local to Minnesota), message reach via social networks, blog post visits, comments, shares, off-site citations and inbound links. We’ll also look at event attendance, buzz during the event and downloads of the free guide. There will be incentives to livetweet and liveblog the presentation, so we’ll look at that too. On top of all this, we’ll look at inquiries made for more information about the topic, working with TopRank on consulting projects, working for TopRank (yes we’re hiring! ), media inquiries and request to speak at other events. Hopefully this gives you a ballpark perspective on what I consider to be a pretty straightforward approach to integrating a blog with a content marketing campaign. Processes, templates and past experience make this a pretty efficient effort without the resources you would imagine. What’s really important is to create a win for everyone involved across the campaign. Not just for the brand. Not just for influencers. Not just for the target audience. Everyone wins.